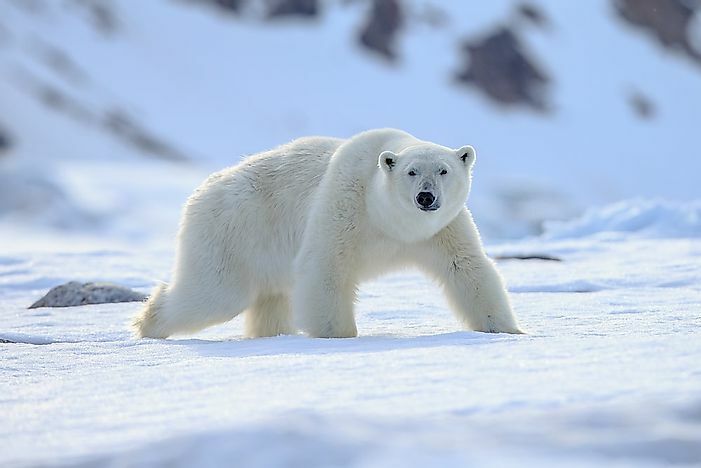 Polar bears, yaks, mountain goats, snowy owls, and arctic foxes are just a few of the unique animals found living in the tundra biome. 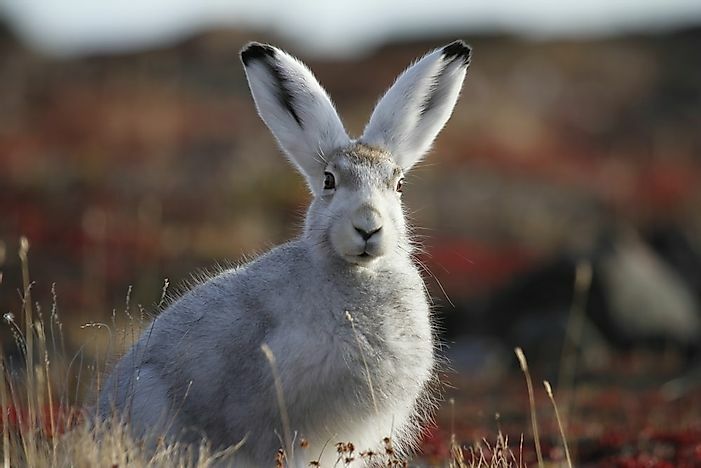 An arctic hare on the tundra. Each of these three types of tundra is characterized by a unique set of flora and fauna. Here, we describe some of the most notable animals of the tundra biomes of the world. 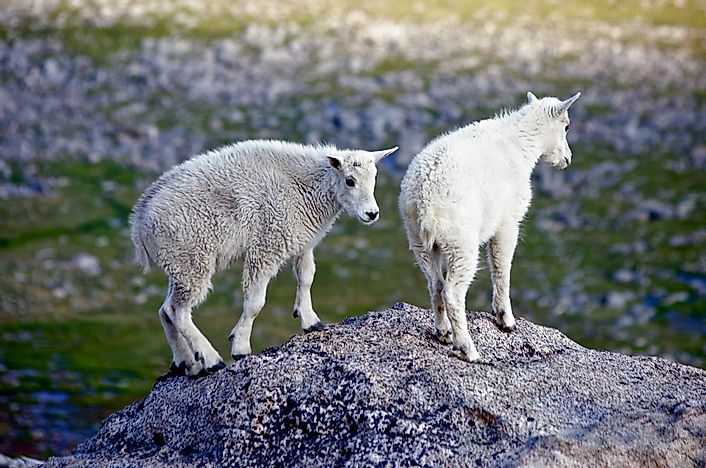 Mountain goats are tundra animals that are endemic to North America. The most notable feature of these goats is their sure-footed movements on the high and steep rocky mountain ranges inhabited by them. The mountain goats are the largest animals occasionally found at altitudes above 13,000 feet and usually live above the tree line in their habitat. These animals are herbivorous in nature and spend a significant amount of time grazing in the alpine meadows. Caribou or reindeer refers to the various subspecies of the species Rangifer tarandus. 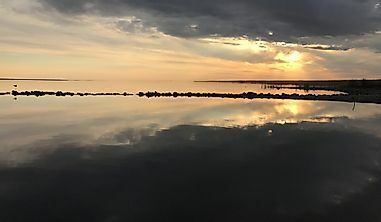 In North America, caribou is found in Alaska, northern parts of Canada including territories in Yukon, Nunavut, Northwest Territories, Canadian Rockies, Selkirk and the Columbia Mountains. Reindeer, the Eurasian name for caribou, is found in the tundra ecoregion of northern Europe and Siberia. 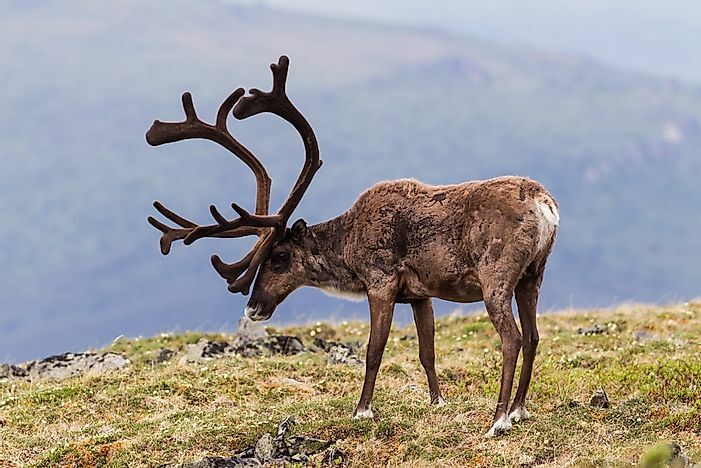 Caribou or reindeer occur both in the wild or as semi-domesticated herds. These animals are utilized by the people of the tundra regions for their milk, meat, hide, and are also used for transportation. 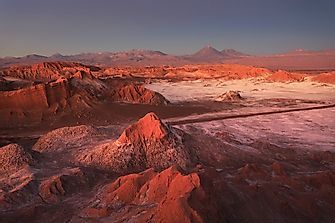 Chinchillas are crepuscular alpine tundra animals that inhabit the Andes mountains in South America. These rodents live in large colonies at elevations as high as 14,000 feet. 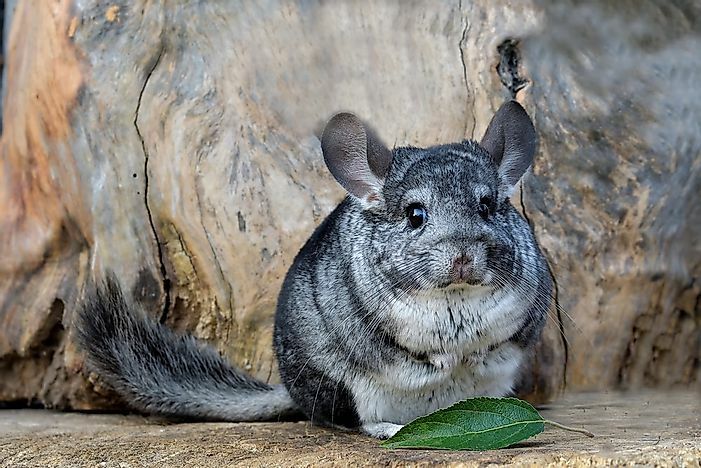 The number of chinchillas has reduced considerably due to the hunting of these animals for their fur. They are currently classified as critically endangered. These Alpine tundra animals are undoubtedly cute looking. 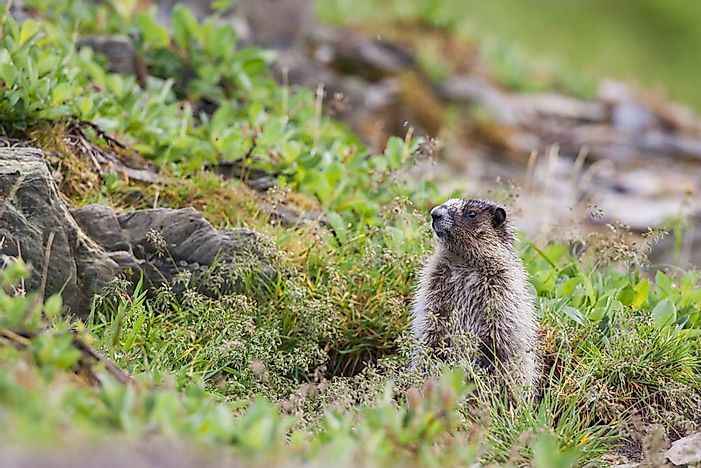 Marmots are large squirrels that are found in the alpine tundra zones of mountain ranges in Europe, Asia, and North America. 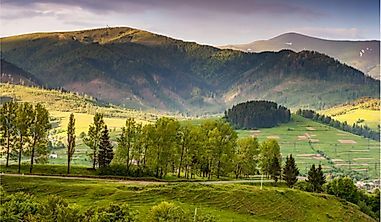 For example, marmots are found in the Carpathians, Apennines, and Pyrenees in Eurasia, in the Deosai Plateau of Ladakh in India, and also in the Rockies, Sierra Nevada, and other mountains of North America. These herbivorous animals are burrow dwellers and hibernate through the winter. 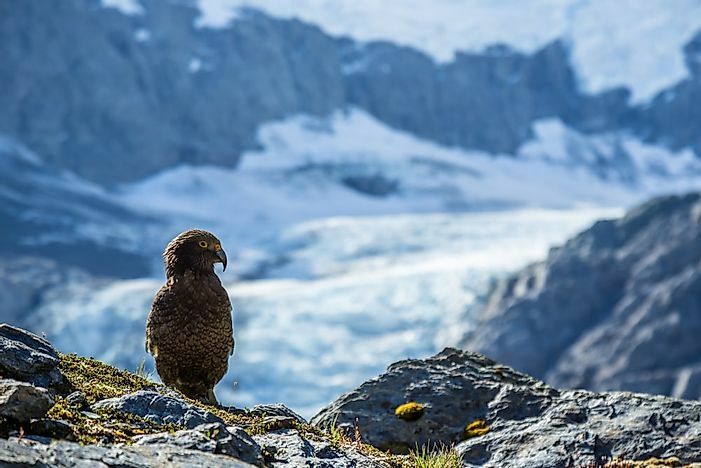 The kea is the only parrot living in the alpine regions of the world. 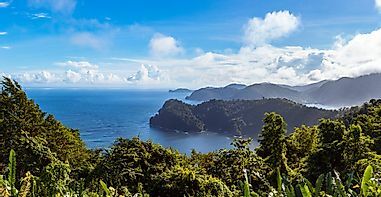 It lives in New Zealand’s South Island where it inhabits the forested and alpine regions of the island. This olive-green colored bird has bright orange under its wings and a gray upper beak that is narrow and curved. The omnivorous bird feeds primarily on carrion and is known for its curious nature and intelligent trait. The Arctic hare (Lepus arcticus) inhabits the tundra regions of the world where it is well-adapted to the mountainous and polar habitat. Short ears and limbs, thick fur, and a small nose of the Arctic hare help to conserve body heat. Body fat makes up 20% of the body weight of the Arctic hare. They live in burrows dug be the ground, move alone or in groups, and can run at speeds of 60 km per hour. One of the smallest of the Arctic tundra animals, the lemming is a subniveal animal which means it lives underneath the snowpack and moves by digging tunnels beneath the snow-covered land of its habitat. 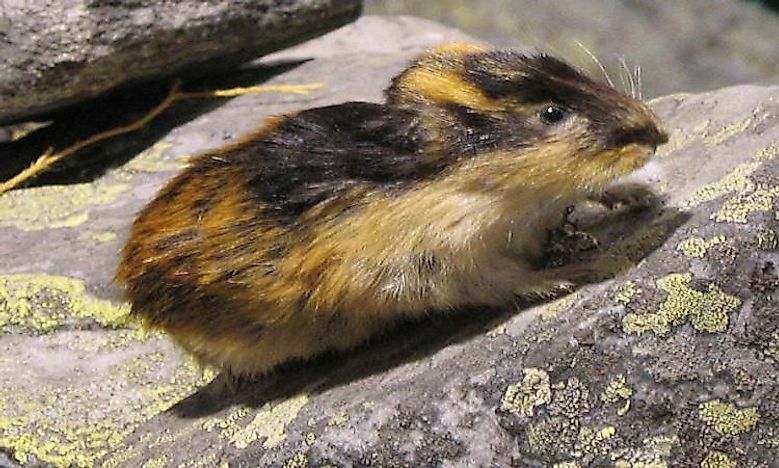 Lemmings feed mostly on plant parts and occasionally insect larvae and grubs. Lemmings are solitary creatures that remain active throughout the cold season instead of hibernating. 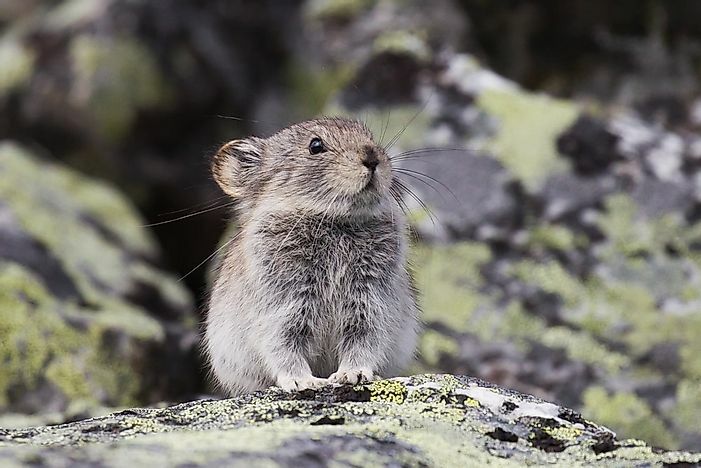 The pika is a small mammal with round body, rounded ears, short limbs, and no external tail. Pikas are tundra animals living in the mountainous areas of Asia and North America at heights of over 6,000 meters. They graze on plant parts, especially grasses. The yak (Bos grunniens) is a domesticated bovid species that is found in the mountainous region of southern Central Asia, through to the Tibetan Plateau and into Mongolia and Russia. Yaks have been kept for their meat, milk, fiber, and also as beasts of burden for thousands of years. 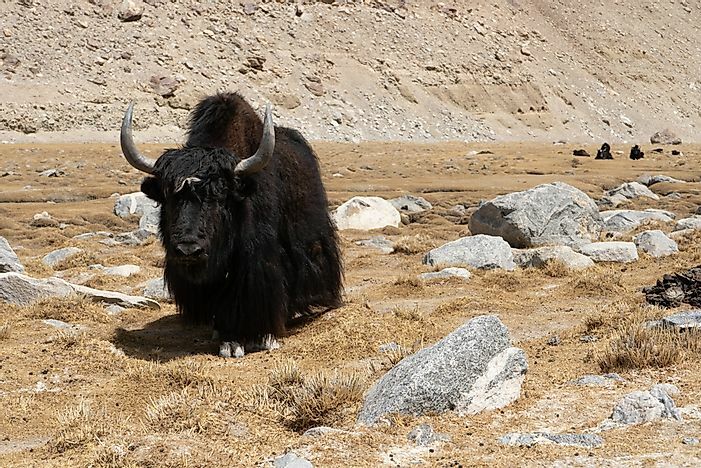 However, yaks cannot survive without grass and thus cannot be used for long distance travel with barren landscapes. 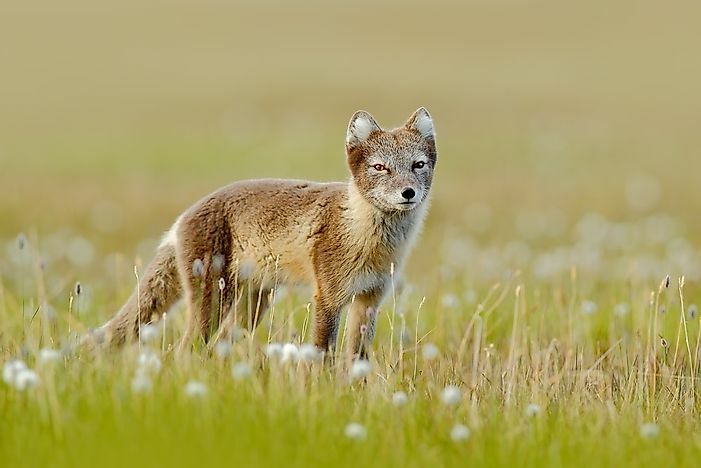 The Arctic fox (Vulpes lagopus) is one of the most common Arctic tundra animals. The fox has a thick fur that turns from brown to white in winter, and a rounded body shape that helps conserve heat. It has a wide prey base that includes lemmings, voles, fish, seabirds, and more. 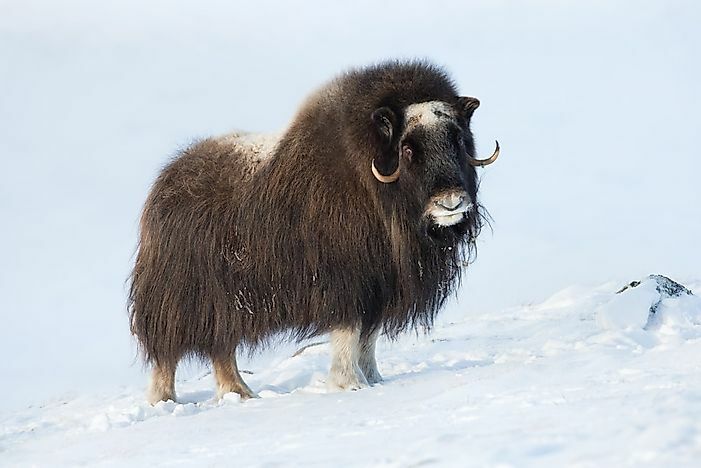 Noted for the strong odor emitted by males of the species during the seasonal rut, the muskox (Ovibos moschatus) is also one of the tundra animals. The odor aids the males in attracting females during the mating season. Muskox also has thick coats that protect them from the cold weather of their habitat. These animals inhabit the Canadian Arctic region and also Greenland. Siberia, Norway, Sweden, and Alaska have some small introduced populations of the musk ox. 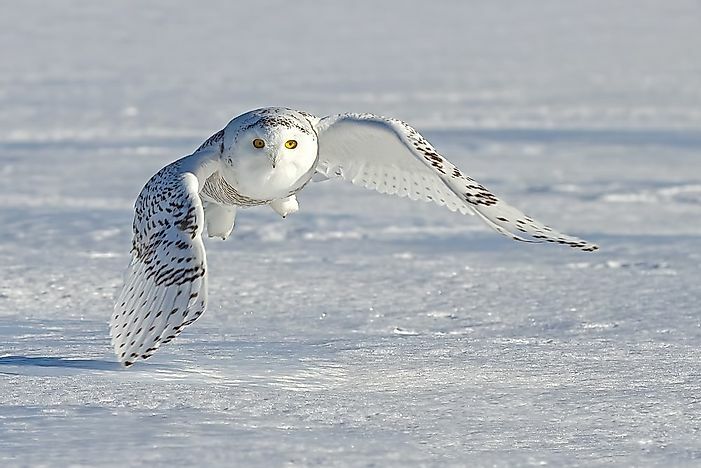 The snowy owl is a big, white owl that is native to the tundra ecoregions of Eurasia and North America. The males of these birds definitely live up to their name and are nearly wholly white while females have a greater concentration of black flecks in the white plumage than males. A ground-nester by nature, the snowy owl's predominant rodent prey matches its ecological niche. The Himalayan tahr (Hemitragus jemlahicus) is a Himalayan native that can be sighted in Nepal, Tibet, and Nepal. 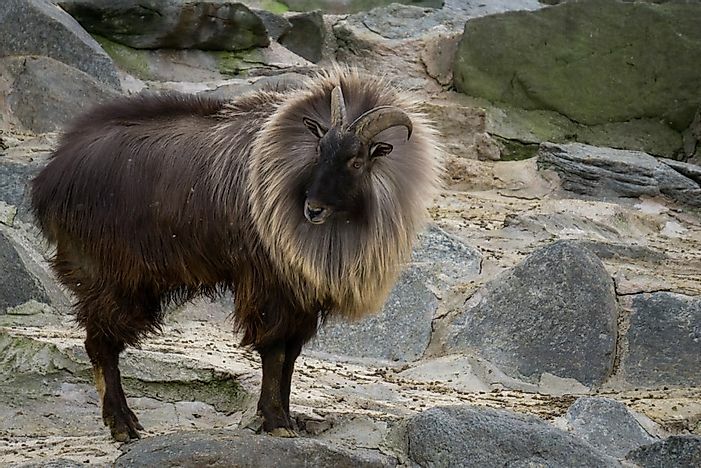 The Himalayan tahr (Hemitragus jemlahicus) is native to the Himalayas in India, Nepal, and Tibet. Hunting and habitat loss have triggered the massive loss of these animals, and they are thus classified as Near Threatened on the IUCN Red List. The tahr is a herbivore that feeds on leaves, fruits, grasses, and other plant parts. Penguins are found in the Antarctic tundra habitat where they inhabit the land and waters of coastal Antarctica. 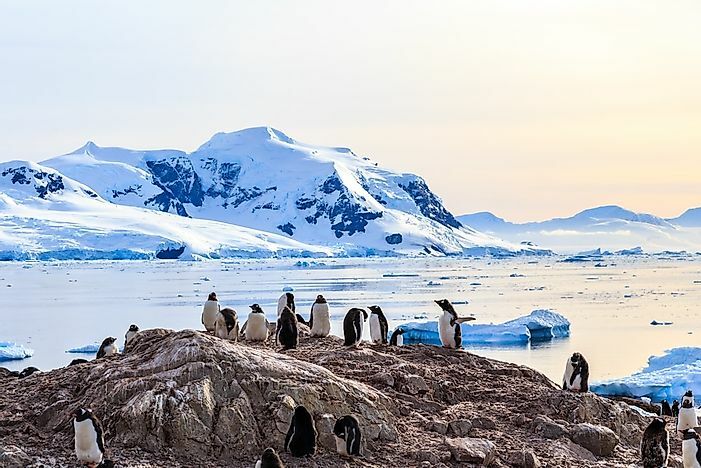 Rockhopper penguin, macaroni penguin, king penguin, gentoo penguin, emperor penguin, adelie penguin, and chinstrap penguin are the penguins of Antarctica. Our list of “Animals That Live In The Tundra” is definitely incomplete without mentioning the iconic species of the habitat, the polar bear (Ursus maritimus). The polar bear’s range primarily lies within the Arctic Circle including the Arctic Ocean and its surrounding areas. Polar bears are well-adapted to survive in the cold climate of their habitat. Seals form the major part of their diet. Polar bears are excellent swimmers and swim for long distances in search of food and rest. 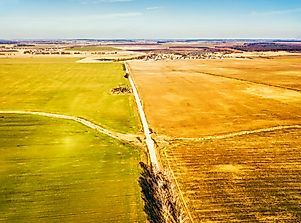 This page was last updated on June 1, 2018. 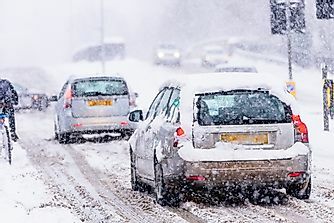 What And Where Is The Tundra?